SAM-e (S-Adenosyl Methionine, Ademethionine, Adomet) is the naturally-occurring amino acid methionine bound to an ATP molecule. And is found in nearly every cell in your body. SAM-e helps produce and breakdown the neurotransmitters acetylcholine, dopamine, serotonin, norepinephrine and melatonin in your brain. SAM-e maintains cell membranes and plays a role in a healthy immune system. Studies show that SAM-e is very effective in treating depression without the side effects of prescription antidepressants. And while pharmaceutical antidepressants can take from 6 to 8 weeks to begin working, SAM-e can work much faster. The latest research shows that SAM-e can be anti-anxiety, reduces pain including in fibromyalgia, and can improve learning, memory and mood. Neuroplasticity. SAM-e is involved in the formation of myelin that surrounds and protects axons. And SAM-e can improve brain-cell membrane fluidity. Enhancing the function of neuroreceptors. Neurotransmitters. 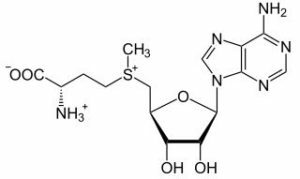 SAM-e is involved in the synthesis of acetylcholine, dopamine, serotonin, and norepinephrine. Helping to normalize mood, moderate behavior, and elevate emotions. Neuroprotectant. SAM-e helps produce the powerful antioxidant glutathione through a process called transsulfuration. SAM-e helps stabilize cell membranes and promotes the secretion of bile. And through a process called aminopropylation, SAM-e is converted into the antioxidant methylthioadenosine, which has anti-inflammatory and analgesic (pain-relieving) properties. How does SAM-e Work in the Brain? SAM-e (S-Adenosyl Methionine) is a naturally occurring coenzyme that plays many critical roles in your body. SAM-e is made from methionine and ATP (adenosine triphosphate) during a cycle that recycles the amino acid homocysteine. This cycle requires Vitamin B6 and B12 and folate (B9) to work properly. SAM-e is a precursor to the crucial antioxidant glutathione which is used in your brain and liver. When glutathione levels drop in your body, liver damage from oxidative stress begins within seconds of exposure to alcohol or toxins. SAM-e is a methyl donor that contributes to several essential processes in your brain. 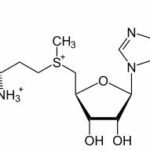 As a methyl donor, SAM-e is involved in the production and recycling of hormones, cytokines, and the neurotransmitters acetylcholine, dopamine, norepinephrine, and serotonin. This methyl donor process is call ‘methylation’, and contributes to gene expression. Affecting how your cells work and communicate including your cell DNA. SAM-e modifies important molecules in cell membranes that control communications within and between brain cells. SAM-e boosts the number of muscarinic receptors in certain parts of your brain which are critical to this cellular communications network. SAM-e is used to treat depression, anxiety, osteoarthritis pain, fibromyalgia, and liver disease. 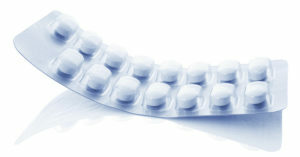 SAM-e is sold as an OTC supplement in the United States and Canada. And as a prescription drug in several European Union countries, and Russia. SAM-e is marketed under the brand names Adomet, Gumbaral, Samyr, Heptral, Agotan, Donamet, Isimet and Admethionine. SAM-e boosts brain health and function in several ways. But two in particular stand out. SAM-e helps alleviate depression. SAME-e is one of the main building blocks your brain needs to produce the neurotransmitters acetylcholine, dopamine, serotonin, norepinephrine and melatonin. By raising the levels of dopamine in your brain, SAM-e helps enhance memory, motivation and learning. Researchers at the West Los Angeles VA Medical Center studied the antidepressant effect of oral SAM-e in a randomized, double-blind, placebo-controlled trial for 15 patients with major depression. Most of the nootropics we investigate here at Nootropics Expert influence nicotinic receptors and ACh. Muscarinic receptors have a very different mechanism of action. They are part of a large family of G-protein-coupled receptors (GPCRs) which are used as an intracellular secondary messenger system. Your brain has a very complex system of control to regulate different processes going on in different cells at different times. For this to work, there must be a sophisticated means of communication between cells. GPCRs and their G proteins provide this intercellular communication. And form one of the most important signaling systems in your brain. They are involved in nearly every aspect of your physiology and behavior. Supplementing with SAM-e to increase muscarinic receptors in your brain can boost neuroplasticity and increase learning, memory, mood and even smell and vision. You have healthy levels of SAM-e throughout your body when you’re young. But as you age, your body makes less of it. This is why young people bounce back from difficult experiences more easily. They’ve got higher levels of dopamine and a higher pain threshold than adults. SAM-e participates in a sequence of events involving folic acid (folate) and Vitamin B12. Folate converts to 5-MTHF (5-methyltetrahydrofolate) which converts freely circulating homocysteine back into the amino acid Methionine (using Vitamin B12). L-Methionine then binds to an Adenosine group from ATP to create SAM-e.
SAM-e is then able to donate methyl groups (called methylation) to a variety of reactions including the production and breakdown of the neurotransmitters dopamine, serotonin, norepinephrine and melatonin in your brain. This methylation process degrades SAM-e into S-Adenosylhomocysteine. Which is then fed back into this cycle from the beginning. This process is referred to as a ‘one-carbon cycle’. If you don’t have enough folate or Vitamin B12 available, this SAM-e methylation process breaks down. And the result can be depression, brain fog, poor recall and memory, and pain. Low levels of SAM-e, folic acid, Vitamin B6 and B12 can lead to all kinds of problems. And genetic defects that don’t allow the use of these important vitamins can result in the same symptoms. But even if you’re not concerned with genetic defects, a lack of B-Vitamins, or the effects of aging, SAM-e can help. Stress-related disorders like anxiety, major depression and PTSD are some of the most debilitating illnesses known to man. And if you’re reading this, and dealing with any of these, supplementing with SAM-e may help. To cope with stress requires changes in the expression of “immediate-early genes” in your hippocampus. The same area of your brain you use for learning and memory. SAM-e is a methyl donor for the enzyme that methylates your DNA. When SAM-e levels are high enough, a stressful event will not result in DNA de-methylation. SAM-e is a powerful antidepressant. In 2005, researchers combed through the databases of Medline, Psychinfo, AMED, and Cochrane Controlled Trials Register. And collated the findings of randomized, controlled trials studying SAM-e for depression through to September 2001. SAM-e is also a potent pain-killer. A recent study looked at 56 people with arthritis in their knees for 16 weeks. One group took the COX-2 inhibitor Celebrex while the other took SAM-e.
Another study on the effect of SAM-e with 17 fibromyalgia patients confirmed a close relationship between primary fibromyalgia and psychologic problems including depression. For some, supplementing with SAM-e can be life-changing. SAM-e can have a profound effect on emotions, depression, and feelings of anxiety. You may experience improved concentration, energy, alertness, and feelings of well-being. Even vision can become clearer. Once you start supplementing with SAM-e, you should experience at the very least, a general sense of well-being. SAM-e works particularly well for those who deal with depression or anxiety. Neurohackers report that they no longer have panic attacks. And the feeling of doom is gone. Adding SAM-e to your nootropic stack can improve sociability, and not feeling overwhelmed by life. Brain fog lifts and thinking is clearer and faster. Others say that the “dark cloud has lifted”, and all the negativity and stress is gone. Things that normally would irritate are just brushed off, and you move on. One big word of caution: SAM-e needs Vitamins B6 & B12 and folate to work. Or SAM-e will elevate your homocysteine levels. High homocysteine can cause heart attacks. You’ll notice reference to B-Vitamins several times in this article on SAM-e. It is that important. Use Vitamin B6 & B12 and folate every day that you supplement with SAM-e. Or use a B-Complex formula that contains folate (B9) (avoid folic acid). In the United States, one in ten Americans are using antidepressants. [x] I don’t have statistics from other countries but I suspect many have similar problems. Unfortunately, antidepressants only work 30 – 50% of the time. And come with a host of side effects. 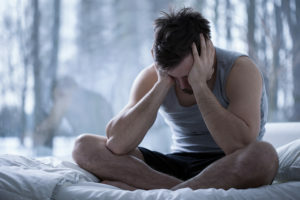 One reason that many people continue to suffer from depression is that most doctors are not aware of the link between homocysteine and depression. If you’re dealing with depression and have had little success with antidepressants, you may have something as simple (and as serious) as a folate deficiency. Or low levels of Vitamin B12. Studies show a link between folate deficiency and impaired metabolism of serotonin, dopamine, and norepinephrine. One study looked at 46 patients with severe depression. 24 of these patients had raised levels of homocysteine. And significantly lower levels of folate, SAM-e, and other metabolites. Or supplementing with SAM-e to treat depressive symptoms. Ritalin and Adderall are thought to be the most effective treatment in children and adults with ADHD. These stimulants work by potentiating both dopamine and norepinephrine at the synaptic cleft. But stimulant meds for ADHD come with side effects. SAM-e acts as a methyl donor and is involved in many metabolic pathways. It has both adrenergic and dopamine receptor agonist activity. A research team at the University of California used SAM-e with subjects diagnosed with Adult ADHD in a 9-week double-blind, placebo-controlled trial. Scientists at the US Department of Health and Human Services conducted an analysis of 102 individual studies in 25 databases on SAM-e and depression in 2002. The report distilled data gleaned from published studies conducted around the world up to 2002. This comprehensive report is called, “S-Adenosyl-L-Methionine for Treatment of Depression, Osteoarthritis, and Liver Disease.” The researchers found that SAM-e is just as effective as standard antidepressant drugs at treating depression. Recommended dosage of SAM-e for nootropic benefit is 400 mg per day. Some research and many user reports suggest that once positive effects are achieved, SAM-e doses can be reduced. Some report benefit with as little as 100 mg of SAM-e daily. Studies show that SAM-e should be consumed with B-Vitamins. When SAM-e donates its methyl group, it breaks down into homocysteine. Elevated homocysteine levels are associated with increased heart disease, birth defects and depression. In order to prevent homocysteine accumulating, sufficient levels of B-Vitamins must be present to convert homocysteine into the potent antioxidant glutathione. Take SAM-e on an empty stomach and an hour before eating any food. SAM-e is best digested in your intestines and not your stomach. Not letting SAM-e settle into your digestive tract could cause stomach upset. SAM-e is produced naturally in your body. So is considered well-tolerated and safe. If you have bipolar disorder, you could develop mania when supplementing with SAM-e. So check with your doctor before using SAM-e. 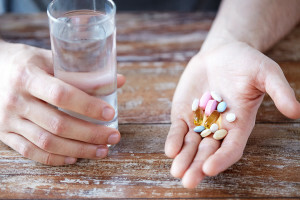 If you’re on antidepressant medication, you should check with your doctor before supplementing with SAM-e.
High doses of SAM-e can cause gas, upset stomach, diarrhea, constipation, dry mouth, headache, dizziness, anxiety or skin rashes. SAM-e may also trigger an allergic reaction in some people. SAM-e is available in 200 and 400 mg tablets. For optimal effects with SAM-e, stable, enteric-coated tablets are recommended. SAM-e should be taken on an empty stomach, either one hour before or two hours after meals. SAM-e is highly unstable so check expiration dates. And you should get tablets that are packed in sealed, gel-packs for freshness. Avoid SAM-e in powder form as you’ll likely be unsatisfied with the results. We recommend using SAM-e as a nootropic supplement. Your body does make some SAM-e on its own. But SAM-e levels decrease as we age. And you cannot get SAM-e from food. SAM-e is critical for the methylation process needed for making important neurotransmitters including acetylcholine, dopamine, serotonin, norepinephrine and melatonin. SAM-e is also involved in the cycle which produces the critical antioxidant glutathione. And it’s involved in maintaining brain cell membrane integrity and fluidity. SAM-e increases muscarinic receptors in your hippocampus which boosts the activity of acetylcholine and other critical neurotransmitters in your brain. Leading to improved learning, memory and mood. SAM-e is especially helpful if you’re dealing with depression. Or having difficulty coping with any kind of stress. We suggest a dose of 400 mg daily. It may take a while for SAM-e to build up in your system. So be patient. Once you’re achieving the affects you want from SAM-e, you can eventually try scaling back your dose to 100 or 200 mg.
SAM-e needs Vitamins B6 & B12 and folate to work. Or SAM-e will elevate your homocysteine levels. High homocysteine can cause heart attacks. So make sure you stack SAM-e with the B-Vitamins listed above, or a good Vitamin B Complex formula that uses folate (NOT folic acid). Hi! I 55 years old. I use SAM-e for chronic pain and depression, and it helps a lot, but not on my focus and motivation at work. I add B-1 and B-6, but not B-12, because B-12 changes my mood – irritable/angry. Also, I changed to Keto diet, which have improved my mobility and mood. (no fish, because I’m allergic). Can you give any advice on which nootropic I should consider that will enhance what what it is already working for me, without side effects? (specially for focus and motivation). Yvette, you need ALL the B-Vitamins for your brain to work the way it was designed. 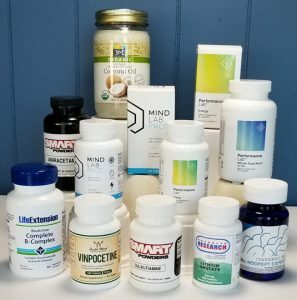 Rather than going into specifics here, please concentrate on this section of a post I recently updated on Best Nootropics for 2018 here > https://nootropicsexpert.com/best-nootropics/#vitamin-b-complex. I encourage you to study the rest of that post as well. But for now, put your energy into understanding what each of the B-Vitamins do in your brain. That link has a very brief summary to give an overall idea on how they work together. Then click through each link for specifics and dosage. Vitamin B12 is likely causing irritation because the rest of the pathways it is required for are out of balance. And you are likely using the wrong kind. You need methylcobalamin and NOT cyanocobalamin. You also need magnesium, zinc and likely lithium. Please see this list (https://nootropicsexpert.com/nootropics-list/) and scroll through to each so you can go to the full review for dosage and types to buy. 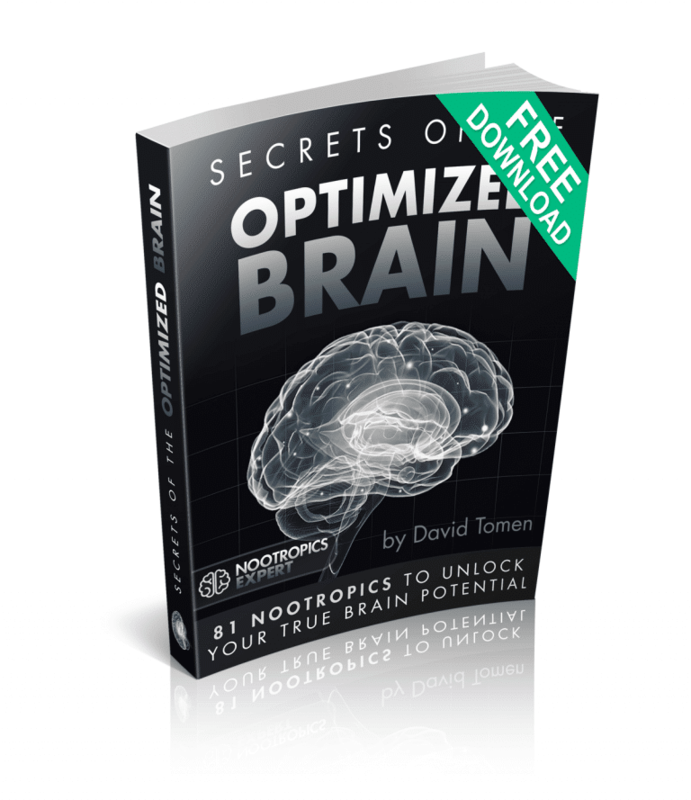 Finally, please study this post on motivation here > https://nootropicsexpert.com/hacking-motivation-with-nootropics/. For motivation, you need to encourage stimulation of glutamate AMPA-receptors to in turn, fire up dopamine neurons. And send dopamine on its way to the nucleus accumbens. That is the dopamine pathway responsible for motivation and pleasure. First take care of the fundamentals I refer to above. Then try iodine, resveratrol, one of the racetams, noopept and Rhodiola Rosea. For the racetams your safest bet starting out is Aniracetam and Piracetam. Iodine and resveratrol are non-negotiable if you want to solve your issues. 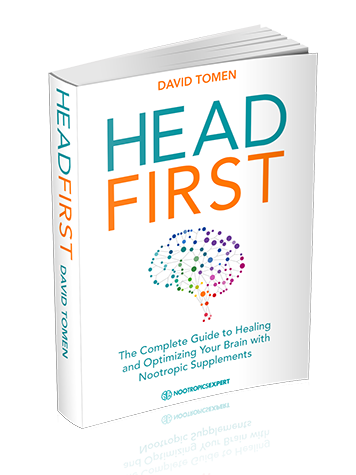 But for each of the nootropics I mention here and the rest of this comment, you must closely follow dosage instructions (and types to buy) for each to make sure you feel and experience the results you are looking for. For example, the racetams will not work without also using a choline supplement like Alpha GPC or CDP-Choline, the B-Complex vitamins, magnesium, zinc and a healthy fat like coconut oil. Love your website and youtube videos. What do you think about the use of TMG instead of or in concert with SAM-e? From what I’m reading it seems that it would aid in methylation as well. Jared, Trimethylglycine (TMG) is part of the one carbon cycle prior to the formation of SAM-e. Check out “betaine” in this very complex diagram: https://www.wikipathways.org/index.php/Pathway:WP241. I’ve not done the research but imagine you could use TMG in concert with SAM-e. Not sure what the result would be but if you try it please let us know. Your body needs both. 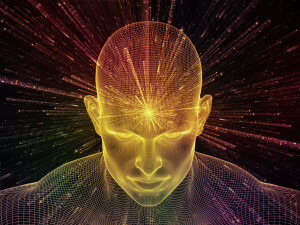 I have just begun to use both NAC and SAM e. I’m very excited to see its affects as far as realeving PTSD, and brain fog. Thank you for your YouTube videos! Thanks David for the profound info. I will add now also SAM-e (Soloesse Italian pure S,S form) to the morning stack before any meal. also need to be taken on an empty stomach with some coconut oil. The previous 3 go well together on an emthy stomach with oil. Is it still ok to add the SAM-e to those 3 at the same moment? No interactions with those 4 all on same emthy stomach? On some I read that emthy stomach can also be no protein food or just fruit. Is fruit also ok with SAM-e? The B-complex does not need to be taken at same time with SAM-e? If you see any that better are taken seperare please let me know. Wim, I suggest taking SAM-e at the same time as you take your B-Complex supplement. Because it needs B6 and B12 to work properly. The key here is fat-soluble supplements should be taken with a meal or healthy fat like coconut oil. But amino acids should be taken on an empty stomach because they compete with other amino acid in your meal. Things like meat. Anything in your meal that provides amino acids will prevent the full effect of an amino acid supplement. “SAM-e should be taken on an empty stomach” I read above. And the B-complex is written to take with food on the sticker. It is very strong, colours urine fluorid yellow first 2 hours after. Not sure if I can take that also in the morning with all the rest together. Wim, there may be something in your B-Complex supplement that is fat-soluble which could be the reason to take it with food. But the B-Vitamins are water soluble and don’t require fat for transport. I take my B-Complex with the rest of my stack with good results. You can take SAM-e and your B-Complex at the same time as the amino acids and get their benefit. Thank you very much for all your help. I am a Korean and please forgive me for my poor English. So now I’m going to try SAM-e. What is your opinion on this point? I’ve taken SJW 1800mg for a few weeks. Do I have to slow down the SJW dose, stop it completely, and then start SAM-e? Or Can I start SAM-e(200mg) on the way to reduce the dose of SJW? I want to see the effects as soon as possible, so it’s not easy to wait until I stop the SJW. Actually, it decreased to 1,200 mg from yesterday. Or IS it better to take both SAM-e and 300mg(SJW) at the same time that I first experienced the effects of SJW? ( keep the 300mg of SJW , Just increase the dose of SAM-e by looking at the situation.) I’d like to hear your opinion on which combination to use. Or should I solve the problem in a way other than SAM-e? PS. I also have taken Ashwagandha, Bacopa, L-theanine, CoQ10, Magtein, Magnesium(lysinate glycinate), Kelp, Zinc, selenium, vitamin ABCDEK, EPA-DHA(Fish oil), and I’m going to add Valerian, Resveratrol, taurine. Jay, St. John’s wort inhibits the uptake of serotonin, dopamine, GABA, glutamate and norepinephrine. Which means that more of each neurotransmitter is available in your brain. But the caveat here is if those neurotransmitters are naturally available in the first place. I can’t say for sure why you grew tolerant to St. John’s wort but it may be because your brain ran low on at least some of those neurotransmitters. The problem is trying to figure out which neurotransmitters you are low in. The only way to find out is to add a precursor for each one and one-at-a-time so you can know if something is providing a benefit or not. SAM-e is likely not the answer you are looking for. At least not by itself because SAM-e contributes to the synthesis of some of these neurotransmitters. But is not a direct precursor to their synthesis. For example, you still need L-Tryptophan for serotonin and L-Tyrosine for dopamine and norepinephrine. GABA is dosed on its own. Thank you very much for your detailed and kind reply. First, I’ll start with L-Tyrosine. But there’s still one more question left. Should I stop SJW completely and start this process? Or should I proceed with this process on the basis of maintaining some SJW dose(For example, 900mg) ? Jay, if you are not experiencing any negative effects with St. John’s wort I think you could continue using it while you are experimenting with other nootropics like L-Tyrosine. I’m Taiwanese. I extremely appreciate your supplement introduction in your YouTube videos. My B-complex contains sufficient B6, B9, and B12 which are close to the tolerable upper intake level, so I only need one capsule daily. My SAM-e are 400 mg tablets. Now I want to have a 800 mg dosage of SAM-e. You mentioned that SAM-e should be taken with vitamin B-complex together before a meal. So should I take two tablets of SAM-e with one capsule of B-complex together before breakfast instead of taking one tablet of SAM-e with one capsule of B-complex before breakfast and then another one SAM-e alone before lunch? Thank you very much! Zhongting, great question and it’s good to be cautious. If your B-Complex is at the tolerable upper daily limit I suggest using the B-Vitamin with your morning SAM-e dose. And take the other SAM-e dose at noon alone but well before a meal. You may find that once you get your SAM-e levels optimal you’ll be able to reduce your daily SAM-e dose back to 400 mg or even as low as 100 mg per day. Among Nature Made, Doctor’s Best, Jarrow Formulas, which is your top-recommended brand for SAM-e? Thank you! Zhongting, anyone of those three manufacturers test their product before shipping. So I wouldn’t recommend one over the other for supplements. But SAM-e is unstable and needs to provided in blister packs. I would use that as a guide along with product reviews by verified buyers to make a selection between these three. I have a 26 year old son who is a USMC veteran. He is struggling with PTSD and depression. I am going to start him on several supplements, SAMe being one. I can only get him to take the supplements twice a day. I wanted to put him on 1200 of SAMe. Is it ok to take 800 in the morning and then 400 later in the day? I have also ordered a B-Complex. Anne, your dosage suggestion is fine as long as it’s taken with a high quality B-Complex supplement. You may find that after a couple of months you’ll be able to reduce the dosage of SAM-e. Please see my post on best nootropics for PTSD here > https://nootropicsexpert.com/treating-post-hurricane-ptsd-with-nootropic-supplements/. Suggested PTSD stack at the very end of that post. But I suggested reading the entire thing so you have a better understanding on what you are dealing with. Thank you David. Heading over to read your post now. Is it safe to take SAM-e with CDP/citicoline? Jeff, it is safe to use these two nootropics together as long as each is dosed correctly. Including the B-Vitamins to support SAM-e. If one suspects that their anxiety and depression is due to overmethylation, is it contraindicated to use SAM-E? Kenneth, If you don’t have enough folate or Vitamin B12 available, the SAM-e methylation process breaks down. Which can result in depression, brain fog, poor recall and memory, and pain. Have you thought of supplementing with Folate and methylcobalamin to see if that helps? I’ve had my B12 tested and its 380ng/ml which is towards the lower level of normal, not sure what my folate level is however. I’m taking a B Vitamin Complex which contains folate and I’ve added methylcobalamin recently but not really noticing any difference. I was given duloxetine last year but found it made me severely anxious which led me to think that my symptoms are not due to neurotransmitter depletion; 5HTP and L-Tyrosine leave me feeling flat. I respond excellently to benzodiazepines which also suggests overmethylation. Niacin produced a good response initially but now I find that 100-200mgs is more than enough to produce a flush, so that makes me think that the Niacin has mopped up the methyl. I’ve recently started NAC and Rhodiola with good results so far. Your thoughts as always are most welcome. Kenneth, benzos work by enhancing the effect of GABA and GABAa receptor in your brain. Have you ever considered trying 500 mg of GABA before bed and seeing how you feel the next day? Your website is a fantastic resource and has been a great help.